7. וּכְשֶׁלֹּא נִמְצָאִים הַמַּעֲשִׂים שֶׁל יִשְׂרָאֵל כָּרָאוּי, כִּבְיָכוֹל אוֹתָם שְׁלוּחִים מְמֻנִּים, כְּשֶׁרוֹצִים לַעֲמֹד עַל אוֹתָם מַעֲשִׂים שֶׁל יִשְׂרָאֵל, הֵם עוֹמְדִים וַדַּאי עַל ה’, שֶׁהֲרֵי כְּשֶׁיִּשְׂרָאֵל עוֹשִׂים מַעֲשִׂים שֶׁלֹּא כְשֵׁרִים, כִּבְיָכוֹל מְתִשִּׁים כֹּחוֹ שֶׁל הַקָּדוֹשׁ בָּרוּךְ הוּא, וּכְשֶׁעוֹשִׂים מַעֲשִׂים כְּשֵׁרִים, נוֹתְנִים כֹּחַ וְתֹקֶף לַקָּדוֹשׁ-בָּרוּךְ-הוּא. וְעַל זֶה כָּתוּב (תהלים סח) תְּנוּ עֹז לֵאלֹהִים. בַּמֶּה? בְּמַעֲשִׂים כְּשֵׁרִים, וְעַל זֶה בְּאוֹתוֹ יוֹם כָּל הַשָּׂרִים הַגְּדוֹלִים הַמְמֻנִּים הִתְכַּנְּסוּ עַל ה’. עַל ה’ וַדַּאי, שֶׁהֲרֵי כֵּיוָן שֶׁהִתְכַּנְּסוּ עַל יִשְׂרָאֵל, הֵם הִתְכַּנְּסוּ עָלָיו. 8. וַיָּבוֹא גַם הַשָּׂטָן בְּתוֹכָם. גַּם – לְרַבּוֹתוֹ עֲלֵיהֶם, שֶׁכֻּלָּם בָּאִים לִהְיוֹת קָטֵגוֹרִים עַל יִשְׂרָאֵל, וְזֶה נוֹסַף עֲלֵיהֶם מִשּׁוּם שֶׁהוּא הַמַּלְשִׁין הַגָּדוֹל מִכֻּלָּם, קָטֵגוֹר מִכֻּלָּם. כֵּיוָן שֶׁרוֹאֶה הַקָּדוֹשׁ בָּרוּךְ הוּא שֶׁכֻּלָּם בָּאִים לְקַטְרֵג, מִיָּד – וַיֹּאמֶר ה’ אֶל הַשָּׂטָן מֵאַיִן תָּבֹא. וְכִי לֹא הָיָה יוֹדֵעַ הַקָּדוֹשׁ בָּרוּךְ הוּא מֵאֵיפֹה הָיָה בָּא? אֶלָּא לְהָבִיא אֶת הַמַּעֲשֶׂה לִרְצוֹנוֹ. 9. וַיֹּאמֶר ה’ אֶל הַשָּׂטָן וְגוֹ’ וַיַּעַן הַשָּׂטָן אֶת ה’ וַיֹּאמַר מִשּׁוּט בָּאָרֶץ. מִכָּאן לָמַדְנוּ שֶׁיִּשּׁוּב הָאָרֶץ נִמְסָר לִצְדָדִים אֲחֵרִים, פְּרָט לְאֶרֶץ יִשְׂרָאֵל לְבַדָּהּ. כֵּיוָן שֶׁאָמַר מִשּׁוּט בָּאָרֶץ, הִשְׁגִּיחַ הַקָּדוֹשׁ בָּרוּךְ הוּא שֶׁרוֹצֶה לִהְיוֹת מַלְשִׁין עַל יִשְׂרָאֵל. מִיָּד – וַיֹּאמֶר ה’ אֶל הַשָּׂטָן הֲשַׂמְתָּ לִבְּךָ עַל עַבְדִּי אִיּוֹב כִּי אֵין כָּמֹהוּ בָּאָרֶץ. Previously we discussed God’s revelation to Abraham, Isaac and Jacob that formed the upper triangle. Moses and Aaron as the top servants of God accepted the task given to them by God and became the chariot for Netzach and Hod. The two are considered as a pair connected to one body. They were the aspect of ‘legs’ of the body. Moses and Aaron did the ‘walk’ and carried the message of God. They complete the five sefirot that make the vessel (Chessed, Gevurah, Tiferet, Netzach and Hod). Yessod (Joseph) is the funnel for continuing the Light from the vessel to the world, Malchut. Together with the upper three sefirot of Keter, Chokmah and Binah we have the eight Sefirot that, like a river, bring the Light all the way to Yessod and from there to Malchut. 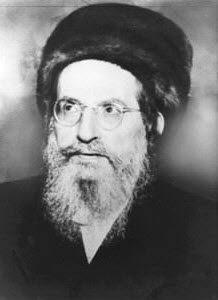 The Holy Ari revealed that Zeir Anpin was born (started its revelation in the world) during the process of the ten plagues. That is why God gave Moses, of 80 years old to be, that aspect of Da’at and the task of bringing the Light of Zeir Anpin to the world. We studied from the Torah that Pharaoh was not aware of the spiritual force of YHVH יהוה. Pharaoh was the head of the impure system and represented the desire to control the material world. The revelation of Zeir Anpin had to be at the place that was on the lowest spiritual level. The Zohar teaches us, “A little light pushes away a lot of darkness”. God chose the Israelites to be a channel for his Light, and Pharaoh had to suffer as the revealed Light of Zeir Anpin grew stronger. The ten plagues were the result of the revelation of this Light. We see how each plague is connected to the level of the Light revealed. 5. Livestock Diseased – More significant plague that affected movement (horses, donkeys and camels) and food (cattle and sheep and goats). 6. Boils – caused by the hand of Moses and spread from the sky throughout the land of Egypt. We see how the strength of the plagues get higher and stronger on each step or breaking the negative side. When the Light appears, darkness must go. This is why Pharaoh had not a chance against the awesome Light of Zeir Anpin. This Light matured later, with the revelation on Mount Sinai and the giving of the Torah. Exodus 13:1 “And YHVH said to Moses, 2 “Consecrate to me every first-born male. The first offspring of every womb among the Israelites belongs to me, whether man or animal”. That was the cost of keeping the first-born of the Israelites alive. God took them under His protection and, in order to keep them, we have to go through the process called “redemption of the first-born”. In this process the parents bring their first-born child to the Cohen (Priests) to ‘buy’ him back from God. This process is done 40 days after the child is born and, in simple calculation, we can see that it is on the tenth day after the tenth month from the planting of the seed. People that have a first-born child, or if you are a first-born, it is never too late to go through the process. Consult your Rabbi. First-born means first child out of a woman’s womb. If the first pregnancy of a woman had failed then the first-born is gone and the ‘payment’ was done. A man can have more than a one first-born, if he gets married more than once. Many people that go back to religion or spirituality feel that effect, and if they are not aware of the laws described above they may think that the system goes against them if they give up before paying the full payment.